What is this miraculous fat you ask? Coconut oil of course! 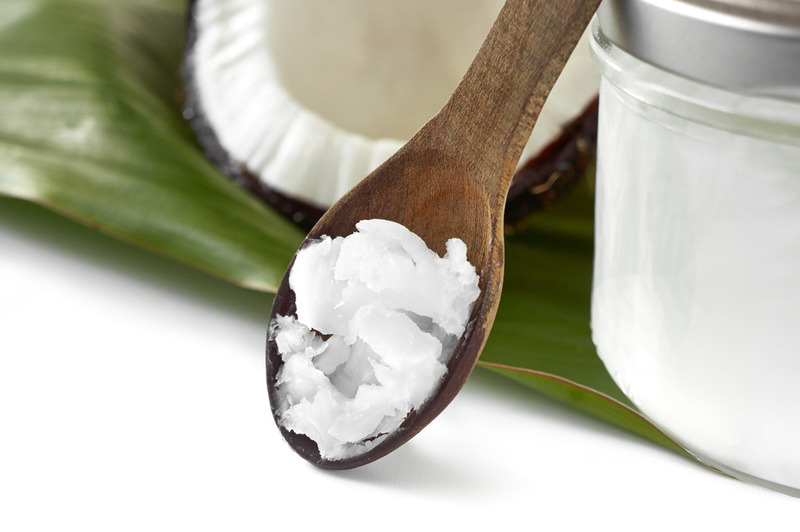 It is an incredibly healthy fat, no other oil is as versatile as the humble coconut oil. You can eat it, cook with it, apply on your skin, treat infections, nourish your brain, heal all sorts of illnesses and more. Coconut oil helps with oxidative stress, reacts against pathogens such as candida, viruses and microbes like H.Pylori, helps with seizures, neurotransmitter function and more. It’s also great for topical use for rashes, eczema, dry skin and skin fungal infections. 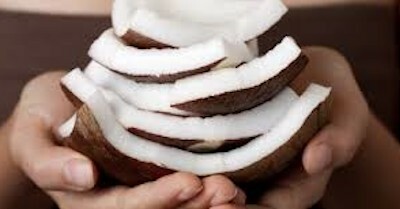 Coconut oil is used in the treatment of autism, Alzheimer’s, heart disease, obesity and more. It’s incredibly healthy and versatile. I incorporate coconut oil into our daily lifestyle and as a nutritional supplement. The health benefits of coconut oil are endless. 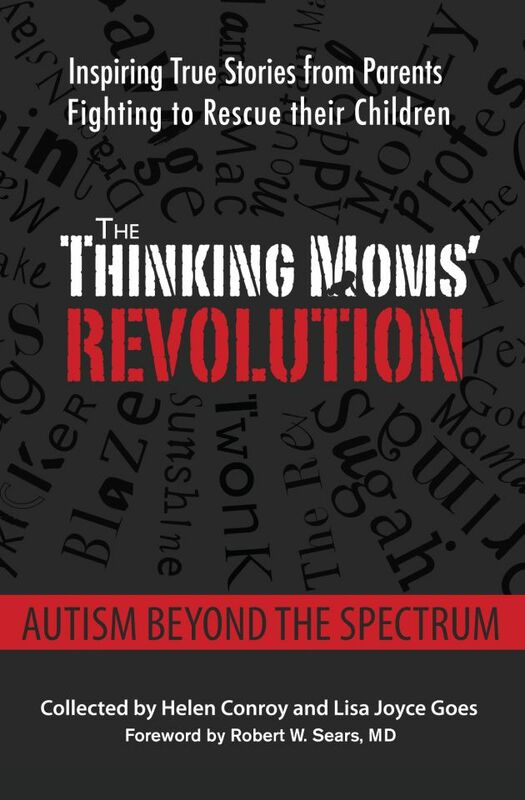 How Does Coconut Oil Help with Autism? Coconut oil has high amounts of MCTs (Medium-Chain Triglycerides); it is rich in lauric acid and caprylic acid. Coconut oil reduces oxidative stress; it has powerful antifungal, antiviral, antimicrobial and antiparasitic activity. It supports the immune system, is thyroid stimulating, controls blood sugar, improves cognition, repairs damaged tissues and supports healthy digestion. Coconut oil nourishes the brain; it helps with brain function, the repair and protection of the brain, facilitating proper functioning of neurotransmitters and more. As you can see, coconut oil can help with many of the underlying health conditions common in children with autism. “Ketones are energy producing molecules made from fats. Our bodies can make them from stored fat or from special fats known as medium chain triglycerides (MCTs) found in coconut oil. Ketones are produced specifically by the body to feed the brain… Ketones not only supply a superior source of energy to the brain but trigger the activation of specialized proteins called brain derived neurotrophic factors that function in brain cell maintenance, repair, and protection. They also stimulate the growth of new brain cells to take the place of dead or dying cells. This allows healing and repair to take place. Ketones are ordinarily produced when blood glucose levels become low. Since glucose is the body’s primary source of energy, when glucose levels fall, the body starts mobilizing stored fat to produce ketones to maintain adequate energy levels.” ~ For more, click here Rebalance Your Brain With Cold Pressed Coconut Oil. Coconut Oil + Fish Oil = Slimmer, Smarter You! Why do I think coconut oil is giving us these great benefits? Medium-chain triglycerides are very important for proper functioning of neurotransmitters in the brain and coconut oil is full of them. One particular thing I found out about MCTs is that they work synergistically with Omega-3 fatty acids liberating them from fat stores in the body and allowing them to be utilized by the brain more efficiently — definitely a winning 1-2 punch!! ~ Savage, The Thinking Moms’ Revolution. For more, click here I’m Cuckoo For Coconut Oil! Coconut oil can make me lose weight? AND make me smarter too? You bet I’m wolfing down that coconut oil like there’s no tomorrow! However, too much coconut oil may not necessarily be better. For kids like my eldest daughter Mei, who is much too skinny, I have to be careful not to give her too much coconut oil lest she lose any more weight. And because of it’s powerful antiviral, antimicrobial and antifungal properties, you may experience die-off when you first start eating coconut oil. So, start low and go slow. Virgin or Extra Virgin? Up to You! I choose cold-pressed, unrefined, organic coconut oil. I prefer extra virgin coconut oil (EVCO) though many people say that virgin coconut oil (VCO) is equally good. All I know is, I prefer the taste and smell of extra virgin coconut oil. I love Country Farm Organic’s Extra Virgin Coconut Oil. It smells like sweet coconut and tastes really nice. In Malaysia, coconut oil is sold in bottles. In hot, tropical climates, coconut oil turns liquid at room temperature (yes, it’s that hot here! ), thus we need an easy-to-pour bottle. In temperate countries, coconut oil solidifies at room temperature, thus it’s sold in jars for easy scooping. I love this beautifully-packaged organic EVCO by Acclara Health I found in a little gourmet health food store in Sydney, Australia. When I was in Tokyo, Japan recently, I found a fabulous, organic shop which carries organic VCO by CocoWell. I like the tub which comes with a cute and convenient little scooper. Ok I confess, I’m a bit of a coconut oil collector. Pour It, Scoop It, Taste It! Later on, once they got used to the taste and texture of solidified, chilled coconut oil, I decided to introduce it in its liquid form. Since we live in a hot climate, coconut oil is usually in liquid form. There will be times when I won’t be able to put coconut oil in the fridge. I poured a little bit into a teaspoon and of course, they immediately rejected it. I told them it’s non-negotiable, they HAVE to take the coconut oil. Mei and Min Min reluctantly licked their spoons, and discovered it was not an objectionable texture (very important for Mei) and it tasted exactly like the coconut ‘ice cream.’ Now, they are used to taking EVCO by the tablespoon without complaint. Apart from taking it straight, you can also use coconut oil as a replacement for your cooking oil, or as a butter substitute. You can also add it in a smoothie or milkshake too (dairy-free of course!). However, it doesn’t matter how you take it. Just find what works for you. A parent asked whether she can mix coconut oil in fruit juice. She was concerned whether or not her son would like the taste of it. 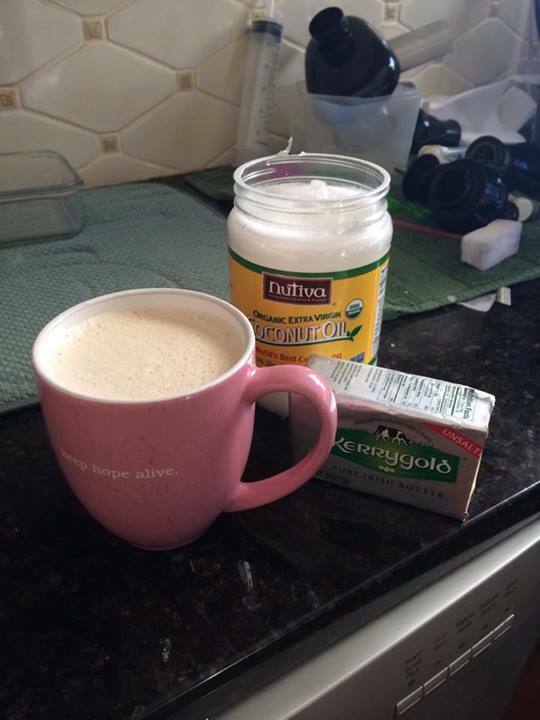 Another parent asked if it’s a good idea to add coconut oil to a cup of coffee. Ummm, wouldn’t that make the drink weird? Coffee with an oily residue, really? I also use coconut oil as a body lotion for dry skin and as a post-beach body butter, it leaves my skin incredibly smooth and moisturised. I apply it on the girls’ skin for rashes, eczema, fungal skin infections and as a treatment for all kinds of skin issues. I also use it as a hair and scalp mask, great for itchy or dry scalp. Apply a liberal amount on your scalp, comb it through, give yourself a quick, invigorating scalp massage and leave it on for 1-2 hours or longer, even overnight. You’ll be surprised how soothing it feels. Shampoo and rinse your hair well and you’ll be amazed how soft your hair is. Coconut oil also makes an effective, natural treatment for lice. Take a tablespoon of coconut oil and swish it around your mouth for 20 minutes. Oil pulling has a powerful and cleansing effect not just for the mouth but also for the body. “Oil pulling has a very powerful detoxifying effect. Our mouths are the home to billions of bacteria, viruses, fungi and other parasites and their toxins. Candida and Streptococcus are common residents in our mouths. It is these types of germs and their toxic waste products that cause gum disease and tooth decay and contribute to many other health problems including arthritis and heart disease. Our immune system is constantly fighting these troublemakers. If our immune system becomes overloaded or burdened by excessive stress, poor diet, environmental toxins and such, these organisms can spread throughout the body causing secondary infections and chronic inflammation, leading to any number of health problems.” ~ Bruce Fife, Oil Pulling For A Brighter Smile and Better Health. I also use it as a massage oil and as a carrier oil when using essential oils. I always make sure there’s a small bottle of coconut oil in my essential oils case. As you know, some essential oils like Thieves and oregano are ‘hot’ oils. In case of skin irritation or burning, rub a generous amount of any carrier oil such as coconut oil. In case essential oils get into your eyes, NEVER rinse with water as water will only drive the oils deeper. Instead, smear some coconut oil around the eye area. Since I always bring a few EOs along with me wherever I go, I pop a little jar of extra virgin coconut oil in my handbag too. I just decant some coconut oil into one of those cute tiny little jam jars or honey pot that you can usually find at hotel breakfast buffets. I also use an old, empty essential oil bottle or small glass supplement jars. It’s a handy way to store my coconut oil for travelling or for popping into my handbag. Coconut oil has amazing health properties. Eat it, drink it, cook with it, slather it on your skin. The uses are endless. Don’t just think of coconut oil as a treatment for autism. Incorporate it into your lifestyle. Make it a part of your dietary nutrition as well as for treating other illnesses. Taken at the first sign of a cold or flu, it helps alleviate the symptoms and sometimes prevents it, too. It nourishes and protects the brain, reduces heart disease, helps with weight management and supports the immune system. 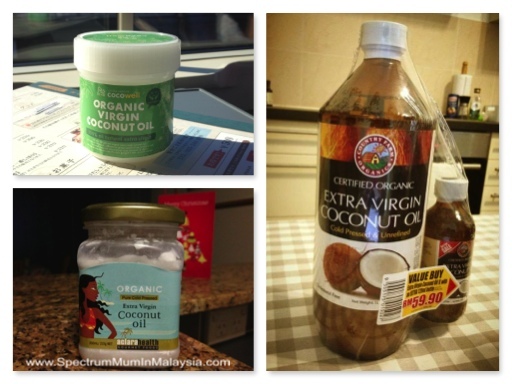 Coconut oil is affordable and easy to incorporate into your daily life. It makes you fitter, healthier and smarter too. What’s not to love? 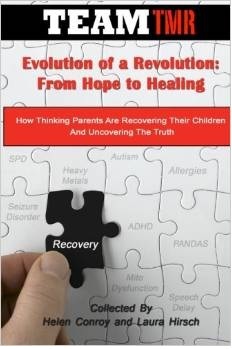 This entry was posted in Blogs by Thinking Moms' Revolution, Dragon Slayer TMR and tagged autism, caprylic acid, coconut oil, healthy fat, lauric acid, mct, oil pulling. Bookmark the permalink. Thanks so much, I work in disabilities and have Autistic clients- so amazed they have not been told about this- And I’m spreading it through our community. 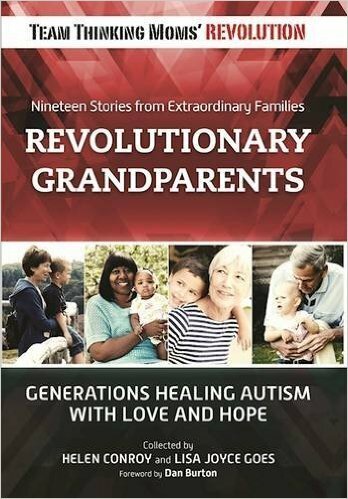 Just started my son with Autism and PANDAS on 1,000 mg coconut softgels for candida and brain function help. Coconut oil is something we have done for years and it has helped, but I struggle to be consistant with it. I recall seeing positive changes in his functioning and moods when we used it. Looking forward to seeing how it helps. Since starting natural antifungal treatment and changing his diet to be more candida friendly he has already started to make a friend at school. I am in my mid-40s , just started OP and consuming EVCO this month and I do not know if it is placebo effect BUT I stop taking my Chondroitin & Glucosamine but I don’t feel much pain when I walk up the stairs. Normally if I skipped 2 days of that C&G, I will have trouble with the stairs. I am taking Country Farm’s, love the smell. However to those who has trouble swallowing it, I suggest putting one tablespoon in your mouth and quickly drinking some warm water. It makes it so much easier because I admit that the texture do make it a little hard to swallow. I also boil rice with it , rice smells wonderful. Hi. The other day, I purchased coconut oil for my teenage daughter who suffers from poor skin (acne, eczema ect). I told her to look up ways to use the oil, and she came back to me and said “Hey mom, coconut oil can help autism! “. My son, 4 is autistic. I began researching and am blown away! My question is I bought just regular coconut oil. The label says 100% pure coconut oil. Would this still be beneficial for my son, or should I only use virgin, or extra virgin? Thank you! 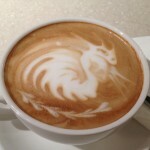 Hi chris i would love to purchase your EVCO where we can find you in singapore? rancid smell just a nice faint Cocount smell and you can consume it in liquid form direct from the bottle. Do let us know your mailing address and we will send you one sample. 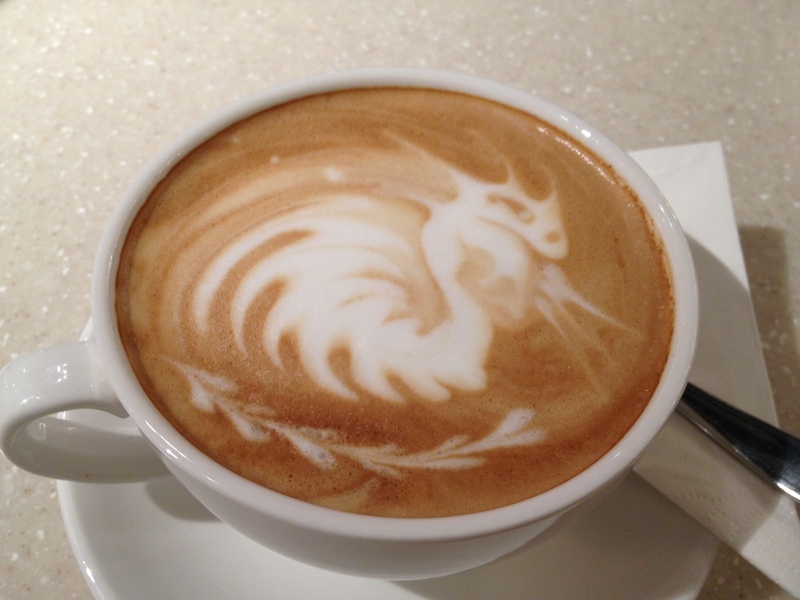 Our company is based in Singapore. I don’t know of coconut oil capsules, but I’ve made coconut oil in capsules before. I use a syringe or glass droppers which makes it less messy. However, I usually add it to fill up the rest of the capsule when I’m doing essential oil drops in capsules. It’s not the best way to do coconut oil if you want to do more than a teaspoon of CO, because you can only get a tiny amount of CO in a capsule. What about chilling tiny droplets of CO. Use a syringe to drop tablet sized CO on a paper lined baking tray, then chill it. Your son can either choose to chew the little ‘candies’ or swallow it like capsules. And sometimes, if I don’t manage to finish all my Bulletproof Coffee, I put my mug in the fridge. After a while, it chills and sets, if I blitzed it, it becomes like an ice-blended coffee. Perhaps play around with that idea. Do let me know what works, cause I’m always trying to find new ways to take coconut oil. Thanks so much for your response. Yeah, the amount that fits in the empty capsules is def not enough. Good suggestions! I havent thought of freezing it like that, hmmm…. I will have to play around in my laboratory (kitchen) and see what concoctions I come up with. Haha Def will let u know! Thank you for sharing Becky, the chocolate recipe looks relish! There is no nutritional difference between Nutiva’s organic unrefined virgin coconut oil vs. our organic refined coconut oil. As per the organic standard, we can’t use chemicals to refine our coconut oil, so we use steam instead. The steam simply takes out the smell and flavor of coconuts in our organic refined coconut oil leaving all of its beneficial nutrition, while the unrefined coconut oil has the taste and smell and nutrition as well. Again, both our unrefined and refined coconut oils have the exact same nutrition, it’s just the refined coconut oil doesn’t have the taste and smell. All of coconut oils natural anti-bacterial, anti-microbial and anti-fungal properties are present in both our organic unrefined and refined coconut oils. I hope this helps. Thank you for supporting Nutiva. Ah, “same nutrition.” There are molecules of SOMETHING causing that taste and smell. The two things are not the same chemically. In addition, when something has “steam” (i.e., “heat”) applied, it takes away any of the “raw” characteristics it might have, such as enzymes. Beware. I also love coconut oil, but I loved reading about all the ways you use it. Thanks for sharing. I didn’t know any of this and I use coconut oil all the time. Here in Hawaii they sell it in Sam’s. I mix it 1-3 with Agave as a dip for my pancakes. Tastes great! Now I know all of the positive health implications I am going to ramp up our use! Coconut oil agave syrup for pancakes sounds wonderful! Thank you for the sharing Patricia.